Argh! How did we get to August already? Well, as much as we love our summer splashes and BBQ blasts, let’s hope the Dog Days of Summer go quickly! Not without a party or two, of course. Happy UN-Birthday, 39ers! Aligning with the rise of Sirius, the brightest star in Earth’s night sky and a prominent star in the Canis Major constellation—get it? 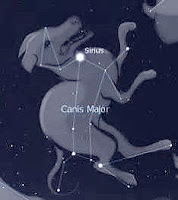 “Canis” as in “dog”—August has earned its Dog Days of Summer status. Even the ancient Greeks recorded its “heat, drought, sudden thunderstorms, lethargy, fever, mad dogs, and bad luck.” Wow. That about sums it up! 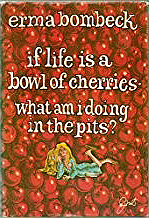 The World According to Garp (John Irving), and popular columnist, Erma Bombeck’s If Life Is A Bowl Of Cherries, What Am I Doing in the Pits? Irving is a masterful writer; and as in many writers, his prose often reveals bouts of inner disturbance, encircled by genius insight. Ah … well … if only she could see us now! We still just worry about surviving. But YOU, August 39ers are celebrating another UN-birthday—proof of survival! Let’s get on with it and follow life-of-the-party Leos (07/23 – 08/22) as they turn impish Virgos (08/23 – 09/22) on to some cool party tricks during these hot, steamy days. 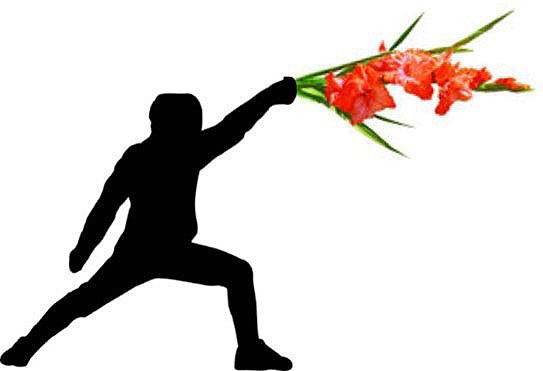 Wielding boisterous words with a Gladiolus stalk like the “sword lily” your birth month flower is, Leos command attention, taking your slice of summer life to the hilt. Virgos, seeking something a little more sedate? Try a trip to Arizona for some Peridot hunting! As famous for its gem quality as Arizona is for its desert. It’s easy to believe stories of the Peridot’s magical powers and healing properties, as the bright green birthstone mesmerizes with its multi-layered cool, green depths. ~ Erma Bombeck; 1927 – 1996, humor columnist/author.